Without proper planning, incapacity can lead to confusion as to the wishes of an incapacitated spouse. For that reason, powers of attorney are drafted to avoid making the wrong decisions on both health care and financial matters after a spouse becomes incapacitated. However, a POA must be executed while the individual has capacity. Families often prefer a POA over the burdensome and costly alternative of petitioning the court to appoint a conservator. Spouses are generally favored in the granting of both conservatorships and guardianships. 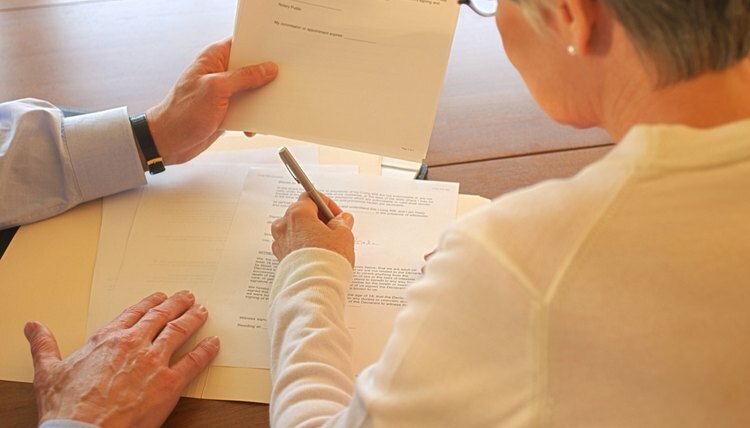 A power of attorney is a legal document that authorizes someone else to act on your behalf. The person granting the authority is known as the principal, while the person receiving the authority is referred to as the agent. The POA may grant limited authority to the agent to perform specific financial acts on the principal's behalf, such as filing taxes or buying a house. Alternatively, a POA may grant broad authority to conduct all financial transactions for the principal. An individual may create a POA only if she has the requisite mental capacity to do so. If the individual is already considered incapacitated, then she may not appoint any agent to take care of her finances. In that case, you may petition the court to have a conservator appointed for your spouse, to take care of her financial matters. Just as a competent person may limit which financial responsibilities an agent may take over for the principal, the court may specify the responsibilities of the conservator. For example, the conservatorship may be limited to paying medical bills for the spouse. You may only act on behalf of your spouse if the power of attorney is durable, meaning the agent still has authority after the principal becomes incapacitated. If the POA is non-durable, the agent no longer has authority to act on the principal's behalf after the principal becomes incapacitated or incompetent. Many people choose to have a durable power of attorney to avoid having the court appoint a conservator or guardian down the line. Further, although spouses may share certain bank accounts and property, a spouse may not be able to file insurance claims, sign tax returns, or address similar issues without a durable power of attorney or conservatorship. Like a POA for finances, a durable POA for health care allows an agent to make medical decisions for the principal if the principal is unable to do so herself. In order to draft a health care POA, the principal must have capacity at the time the document is signed. If your spouse is already incapacitated, you may petition the court to appoint a guardian, who will be responsible for making health care decisions on your spouse's behalf. Generally, courts will grant guardianship to the incapacitated person's spouse or adult children. As the spouse of a deployed service member, you may need a power of attorney to handle your spouse's financial affairs or step in and make medical decisions should something happen to your spouse. By drafting a POA, your spouse will make you his agent, allowing you to act on his behalf. United States law has special provisions for a military power of attorney, which allows the drafter of the POA to avoid some formalities that usually come with creating the document. A guardian may make decisions and care for another person, known as a ward, who is no longer able to take care of herself. Under a power of attorney, a person called an agent or attorney-in-fact may act for another person, known as the principal. A conflict over what's best for the person who needs care sometimes arises between the agent and the guardian. Such conflicts are often resolved by the guidelines set forth in state law or a legal proceeding.